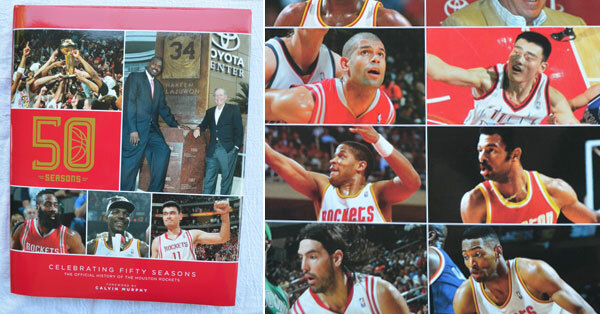 New coffee table book tells and illustrates the 50-year history of the Houston Rockets. I’ve been anticipating this for awhile. 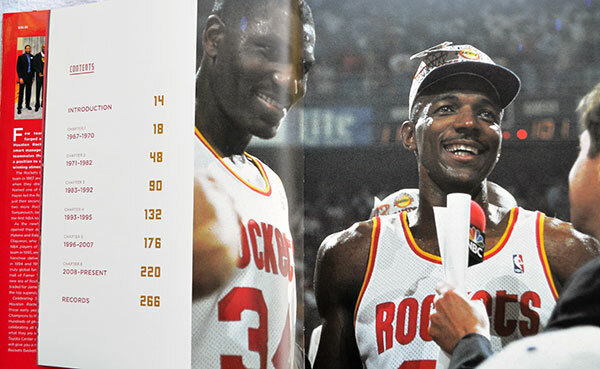 The Houston Rockets have released their new 50th Anniversary coffee table book that covers the history of Houston’s basketball franchise. 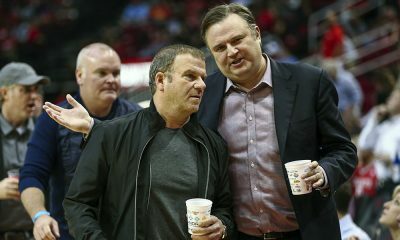 Our good friend Jeff Balke wrote several of the articles found in the book, entitled Celebrating 50 Seasons: The Official History of the Houston Rockets. Jeff would text me every so often during the writing process to say, “I just had lunch with Tracy McGrady!” or “Robert Horry just called me!” — so I’ve really been riding the fantasy and looking forward to seeing the finished product. 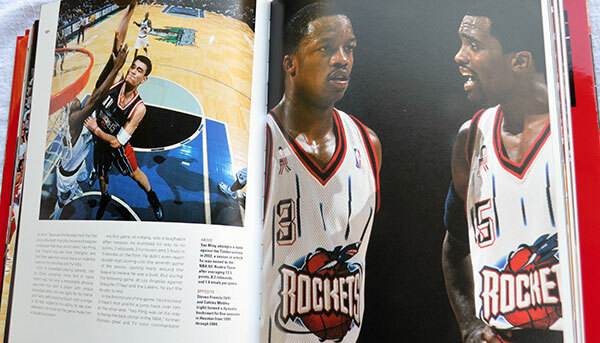 And that’s what this book does for Rockets fans — it geeks them straight out. In a nutshell, this thing is awesome. 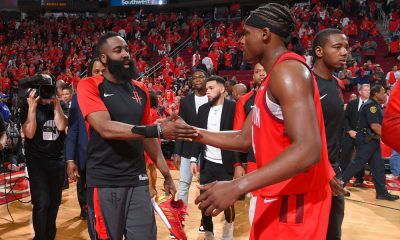 It covers everything from the team’s inception to the Twin Towers to Clutch City to today’s Harden-led Rocket squads. 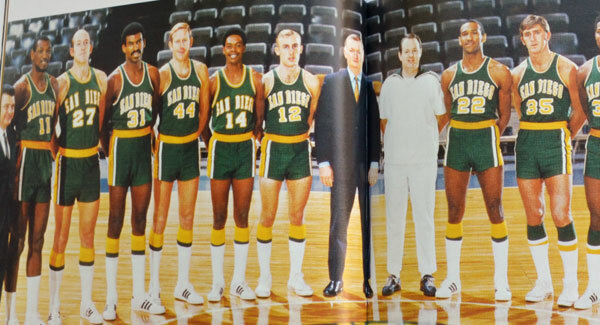 The book is full of interesting stories, but there are also hundreds of photographs and some of them are just bananas. 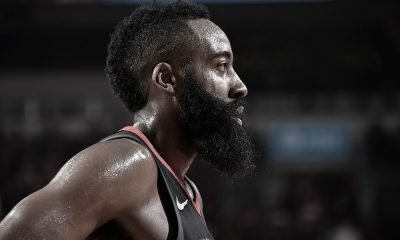 You’ll find a shot of Rick Adelman in a facemask as a Rocket in 1968 looking an awful lot like Hannibal Lecter, coaching legend Pat Riley in his playing days with the franchise and a rare, candid shot of Moses Malone after re-signing with the Rockets in 1979. There’s even a full-page picture of Joe Barry Carroll, folks. It’s that thorough. 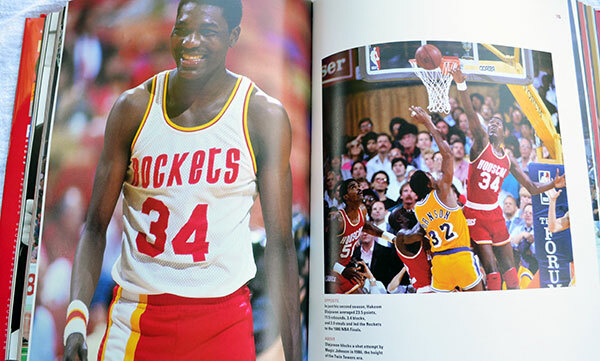 The book contains spotlight profiles on Moses, Ralph Sampson, Hakeem Olajuwon and Yao Ming, among others. The stories are entertaining, like this excerpt about the 1995 Western Conference Finals when Olajuwon dominated regular season MVP David Robinson. 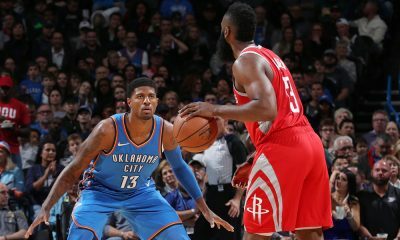 Rudy Tomjanovich said he wondered how Olajuwon felt watching Robinson get the MVP trophy after Hakeem won it in 1994 and that “we found out very quickly” by how he played. But the greatest Rocket ever denied it. 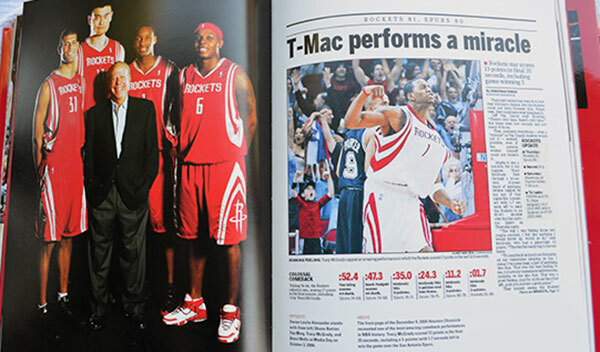 The book retails for $50 and is currently available exclusively at The Rockets Shop at Toyota Center in the month of November. Starting in December, it will be available in book stores. 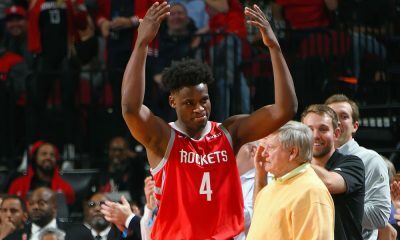 Are the 2016-17 Houston Rockets a 50-win team?